Welcome to the Grape Bowl Classic! 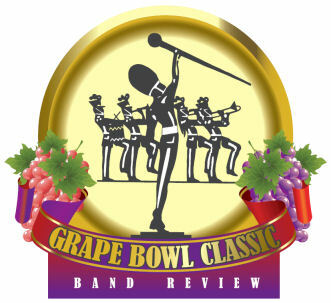 The Grape Bowl Classic Band Review, hosted by Lodi High School and Tokay High School, provides the opportunity for High School and Middle School bands to compete in Marching Band Parade Competition, Jazz Band Competition and Field Show Competitions. Everyone participating or watching these competitions are always sure to have a most enjoyable day. at Lawrence School, 721 Calaveras St.
at Lodi Grape Bowl, 221 Lawrence Ave.